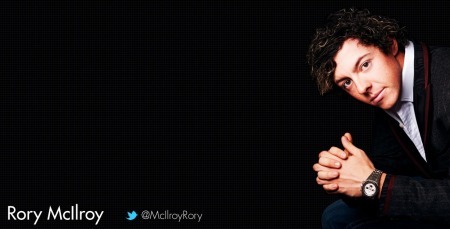 Rory McIlroy’s website will be relaunched soon. Rory McIlroy’s new management team has starting transforming his world. And Dublin based Horizon Sports is making sure it doesn’t make the same mistake as Chubby Chandler by hogging the limelight and becoming “celebrity” managers. Silence is now the new rule when it comes to handling the world No 3 and allowing him to let his clubs do the talking. Ridge jetted off to China yesterday for the Lake Malaren Shanghai Masters where McIlroy will be the centre of attention after announcing his shock sacking of the ISM organisation last Friday. The Holywood star, 22, stunned Chandler by walking out after four years together. According to Bolton man Chandler, the Irish star was unhappy with his brand, his website, his public image and his sponsorship portfolio. But Horizon have been low profile in their handling of McIlroy’s pal Graeme McDowell since 2007. And they have already made changes to McIlroy’s image by launching a slick preview of his new website featuring a portrat by top photographer Kevin Abosch, best known here for his Faces of Ireland campaign. Organising a coherent 2012 schedule and steering the sometimes impetuous US Open champion away from controversy wiil be top of Horizon’s list of objectives. This reporter does not expect to be asked to “play the game” ever again when it comes to questions. The US Open champion has tweeted just twice since he announced his split with ISM. Apart from congratulating Luke Donald on winning the US money list, he posted a pic of an early morning tennis session for new love Caroline Wozniacki in Istanbul. Before jetting out to Shanghai, McIlroy politely refused to talk about his split with Chandler and prepared to move on with his career. It appears that a new era has begun. Rory McIlroy and Darren Clarke at the 2010 Irish Open. Picture Eoin Clarke/www.golffile.ieRory McIlroy has always prided himself on his “honesty” and saying what’s on his mind when he’s found himself criticised for past remarks or actions. Rumours of a split between Rory McIlroy and Horizon Sports Management have been rife in tour circles for weeks.